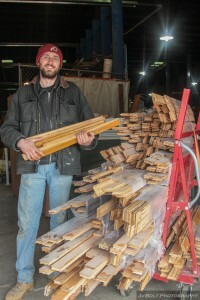 Community Forklift is a nonprofit reuse center for home improvement supplies. We collect donations of unwanted and salvaged building materials throughout the metro DC region. Then, we make the building materials available to the public at low cost, and provide vintage materials for restoring old homes. We also offer public education about reuse, and distribute free supplies to local nonprofits and neighbors in need. 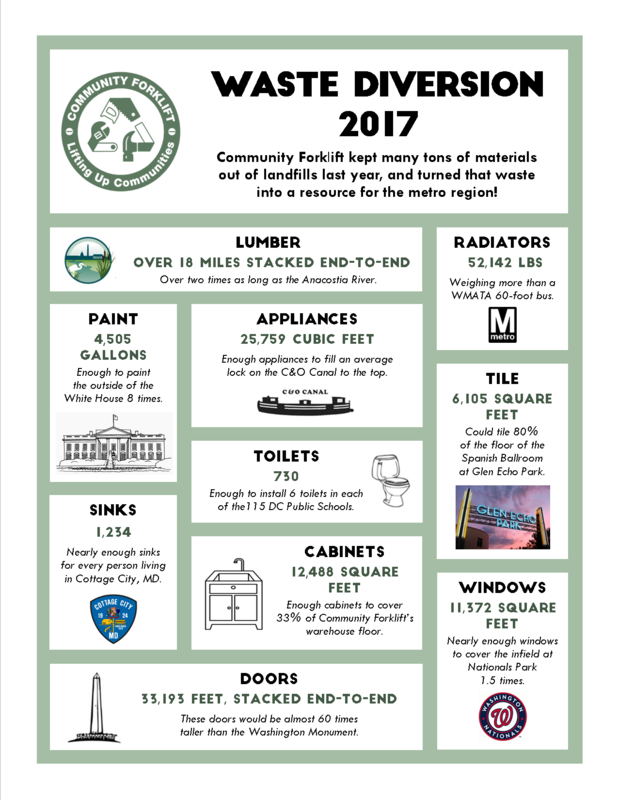 As a result, building materials make up approximately 30% to 40% of our nation’s solid waste stream!